It'll repeat what you say in koala voice with a great aussie accent. Also bops its head up and down with enthusiasm while oozing incredible cuteness! Switch on this funny little gizmo and watch as the iconic Australian Koala copies everything you say. 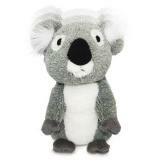 He'll repeat what you say in his adorable koala voice, while bobbing up and down to keep your attention. 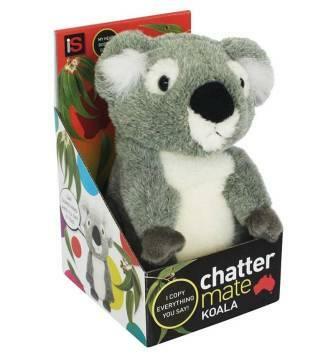 Check out the video below to see the ChatterMates in action. Suits all ages - young children from 3+, teenagers, adults. Fantastic Aussie souvenir for visits to overseas friends and family. Uses 3 x aAA batteries.